The Politecnico di Milano (“Polimi”) technical university is reknown for developing useful and innovative technologies through their research and development groups. In 1985, professors Fabio Rocca and Claudio Prati created one such group to investigate the potential use of data from Synthetic Aperture Radar (“SAR”) satellites to generate surface maps showing measurements of ground deformation. Data was first only available from a single American satellite, but as more were launched the group became a leader in research on satellite-based interferometric synthetic aperture radar techniques (“InSAR”) to measure ground movement. Alessandro Ferretti, an engineer at Polimi, joined the group in 1996. He undertook two significant multi-image analysis research projects to find out if the limited accuracy of InSAR could be increased. His research revealed that it was possible to measure the displacement of radar benchmarks, reflector points on the earth’s surface (e.g., buildings, water pipelines, large boulders, etc.) referred to as Permanent Scatterers (“PS”), to millimeter accuracy. 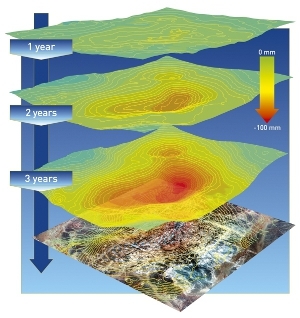 This research led to the development of the PS Technique - a unique tool that detects, measures and monitors different geophysical phenomena (e.g., subsidence, uplift, landslides, seismic faults, etc.) 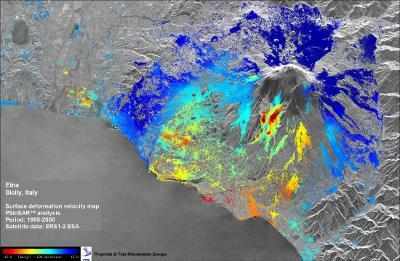 and verifies the stability of individual structures, providing precise measurements of ground displacements using SAR data from sensors mounted on satellites. The precision of the PS Technique provides much more accurate measurements and ground movement reconstructions than conventional InSAR techniques. This helps to prevent damage from landslides and other ground phenomena, and is an effective, advanced technological tool to monitor the stability of buildings, bridges and other vital structures. 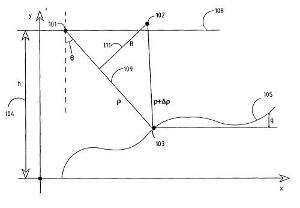 In May 1999 Polimi filed an Italian patent application for the PS Technique and began the process to protect the invention in a number of foreign markets by filing an international application via the Patent Cooperation Treaty (PCT) system entering for patent protection in Canada, the European Union, Japan and the United States at the end of 2000. Since then, Polimi has continued to seek patent protection for its inventions and has filed over 100 PCT applications. The inventor's close links and interaction with the university. Through the creation of this spin-off company, each actor of the technology transfer process reached their own goal. First, the university was able to exploit the patent with the guarantee from their industrial partner that maximum effort would be devoted to reach the market in the most effective manner. Second, the inventors became entrepreneurs, receiving financial incentives from both the patent royalties and the net income of the spin-off company. Lastly, the spin-off company can use the patented technology, know-how and trademark of the university as a warranty of the scientific level of the offered services and products, keeping a strong link with Polimi for basic research and generating extra research funds. The PS Technique is a proprietary technique marketed and delivered by TRE to the public and private sectors under the PSInSARTM name. Aware of the many applications and untapped market that the PS Technique could reach, TRE commercializes and markets it by highlighting its significant differences to more conventional methods. The PS patent was the beginning of a brand new area of research and development at Polimi which continues today. Recognizing that its most valuable assets were its team of engineers with vast technical expertise in radar remote sensing, Polimi put the inventors and initial researchers of the PS Technique at the heart of TRE. 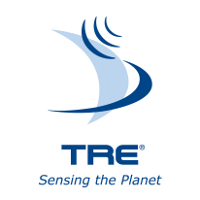 With more than twenty years of research experience, TRE’s staff combines their skills in radar remote sensing and signal processing, earth observation satellites, Geographical Information Systems (“GIS”) and Information Technology to ensure innovation through research. TRE continues to devote significant research and investment into the PS Technique to improve the analysis tools, adapt the technique to other sensors with different operating capabilities, and to stay ahead of the competition. In addition, TRE complements its commercial activities by extending the academic research of Polimi in PS technology into applied research and development of enhanced and new service products. TRE’s vision is to be the leading global expert in specialist data processing services derived from satellite-borne SAR. To succeed in this endeavor, TRE engages in applied research and development of SAR-based technologies, constantly upgrading its range of efficient and high quality service products. Ten years after the development of PSInSAR, TRE developed SqueeSAR™, a further advancement for satellite data analysis and a breakthrough in earth observation capabilities. Instead of using PS, SqueeSAR is based on Distributed Scatterers (“DS”), which yield the same precise detection of ground movement as PS, but in areas such as debris fields, deserts and non-cultivated land. The PS Technique was first marketed as PSInSAR and is now marketed as SqueeSAR (given that the PSInSAR algorithm is maintained and processed within SqueeSAR™). The Polimi PS Technique, PSInSAR and SqueeSAR are trademarks associated with TRE’s technology. Both the Polimi PS Technique and PSInSAR are registered internationally under the Madrid System. TRE has gone from its roots as a research group at Polimi to the largest company specialized in SAR data processing activities worldwide. TRE’s services have become a primary tool for oil and gas companies looking for innovative reservoir monitoring techniques, for public sector institutions involved in public safety, for urban planning and infrastructure management, and for geotechnical engineering companies serving such organizations. Because the PS Technique is a completely new source of information supplementing conventional ground movement and site investigation tools, it has no direct competitors and is extremely cost-effective, costing only a fraction of conventional surveys. This has allowed TRE to expand, with its team growing from seven in 2000 to twenty-two in 2010. Demand for TRE’s services has continued to grow, with TRE opening an office in Canada in 2008 to focus on North America. TRE’s clients range from European municipal governments to international corporations and organizations in Italy, France, Japan and Indonesia. TRE also has research collaborations with universities such as the University of California, Berkeley and organizations such as the Norway Geological Survey. TRE is an example of the “IP Cycle” at work: a new technology is created, protected and commercialized, which brings financial growth to its creators, allowing them to research and develop new technologies and opportunities. In the case of TRE, the PS Technique was invented, protected through IP rights and licensed to a spin-off company for commercialization, which provided funds for research and development of a new technology, SqueeSAR™, the commercialization of which provides further funding for more research and new innovations.